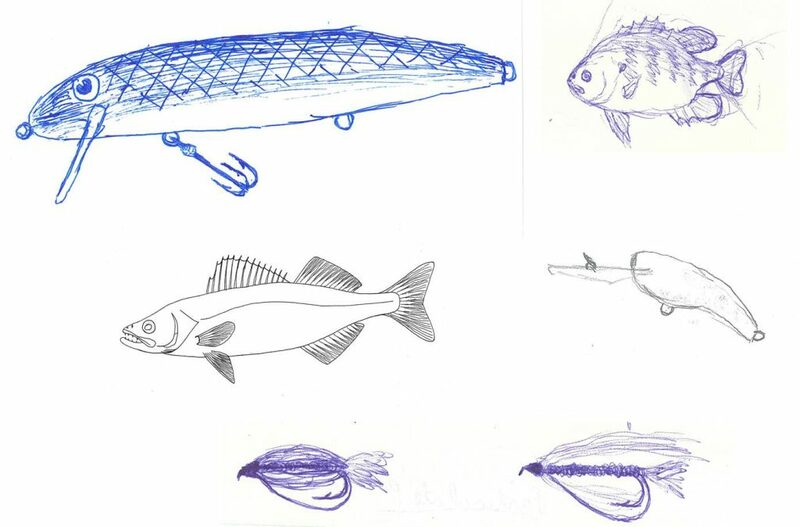 You can go back to notebooks I had in high school and find a variety of fish-related doodles scattered over the pages. The more boring the class, the more doodles. Any former professors or teachers that might be reading this blog post: Of course none of those doodles were from any of your classes, I was never bored in your classes. I have never grown up. I still do the same thing when I am stuck in boring meetings. Didn't get to go fishing today due to the weather. Seen a picture of some guy with a fishing tattoo on his finger decided to draw one of my own lol.. Seriously, I found that video making the rounds on FaceBook. Someone is a much better artist than I ever dreamed of being. Planning to apply a little therapy to my wandering mind problem this weekend. . . .